First introduced in jan 1943(?). 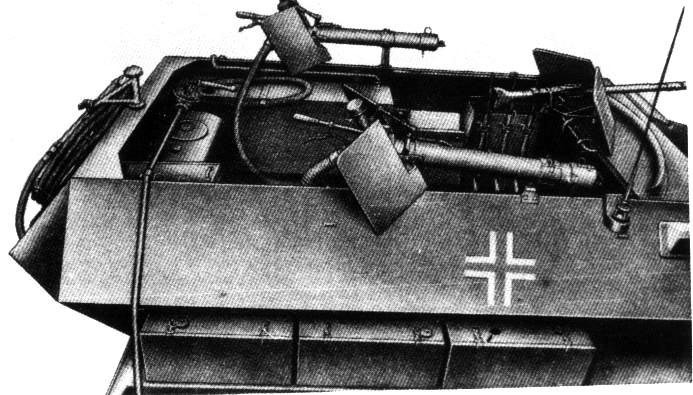 Two 14 mm flamethrowers behind armored shields, one on each side, and two large 700 litre tanks in the rear. The crew is dressed in special non-burning overalls. They are not always wearing it. The flame-thrower is a unpopular but very effective weapon. 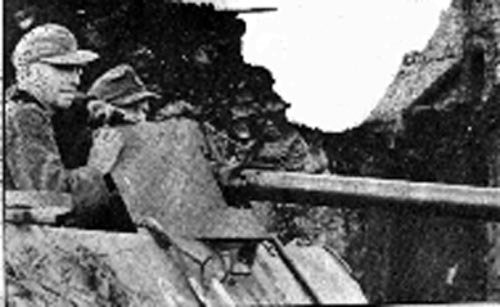 Throughout the war there is a shortage of the required fuel (yellied petrol). The locations where they are seen: Russia, Italy, Arnhem 1944 and France. Range of the main projectors up to 35 meters (depending on the wind). Six halftracks in a platoon. 1850 gallons are on board of 3 supporting trucks. Enough for two refills for the whole platoon. 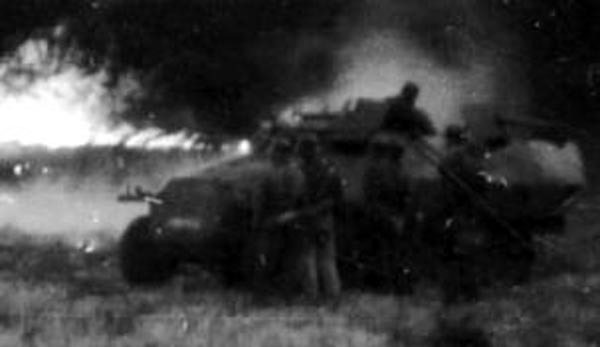 Portable 7 mm flamethrower on early versions. 10 meters range from the vehicle. Crew of 5, 2 thrower-operators, wireless operator, MG gunner and driver. 8010 rounds of mg ammo. Compressor(Pump) on a small gasoline engine with 5.5 gallon tank, enough to let it run for 2 hours. 2 700 litre tanks alowing approximately 80 bursts of 2 seconds. Height 2.10 meters, weight 8.62 ton.